Tomorrow Occupy begins a new front, with a national day of action that involves occupying foreclosed homes. Occupy Our Homes has created a list events at their site here. Here’s to many more tactical innovations. This is a brilliant post. I normally don’t comment just to say how impressed I am with something, but this is that good. And important. Thank you Frank – for those of us in smaller groups of Occupiers, this reinforces what we were just talking about at our last GA. I am more encouraged that this is a natural evolution of the movement!!! And while we’re at it, lets credit some of the people as well. A little over two months later from that original video and article and the Occupy Movement is going to both occupy homes, and some regional occupy locations may actually attempt to shout down the public home foreclosure auctions as well. I just want to add that a one day home foreclosure action IS NOT ENOUGH and this can quickly turn into an insulting situation if after the cameras leave the occupiers move on to another cause as it will turn into little more than a photo op. 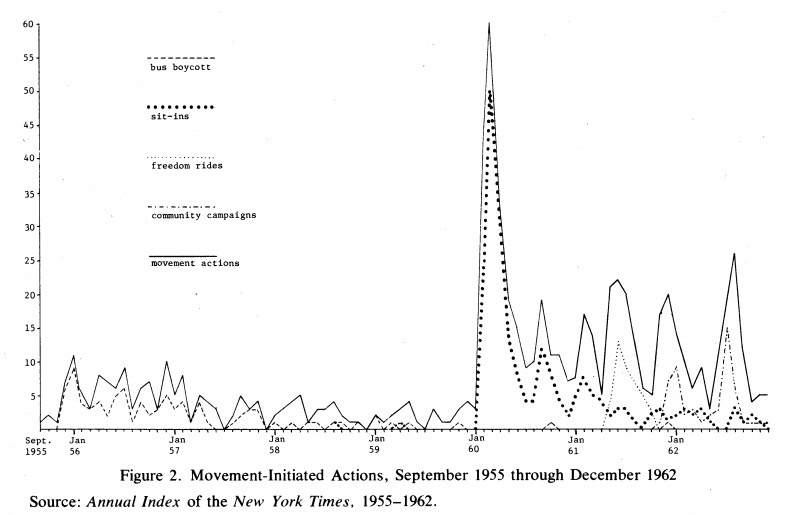 If the Occupy Movement does not leave a small group of people behind for actions that are ongoing, the movement runs the risk of being labeled an opportunistic movement more interested in the news coverage than fighting for the 99%. Funny. I just wrote nearly the same observation. Fascinating piece and one that rings very true in my experience. Back in the ’80s I was involved with the then-new Earth First! radical environmental movement. We went through a whirlwind period of innovation during the heyday, always keeping our opponents guessing and always staying one or two steps ahead of them. I think one of the big differences that future historians will find when looking at Occupy is that, because of social media, the pace of evolution will be dramatically accelerated. Tactical cycles will last mere weeks, if that. That is one concern I have about the upcoming port shut down. I’m hoping it is not an overreach, with the opposition now much more prepared and Occupy spread thin and weaker. It is axiomatic in strategic planning that you never win the same way twice, but you can lose the same way an infinite number of times. It’s an evolutionary process: we train our opponents in how to beat us whenever we do the same thing. I do think Occupy needs to concede the physical presence in the square at this point, while still retaining its signature image of the tent. U.C. Berkeley students using helium balloons to fly tents over Sproul Plaza, the Occupy Melbourne protesters wearing small tents as clothing (one getting it ripped off of her body by police) and the projected “bat signals” are good examples. I think occupying foreclosures is the logical next step. Oakland has tried a couple of times and botched it, but today’s action seems like a winner. If it doesn’t really “stick” after today, we’ll keep at it till we get it right.